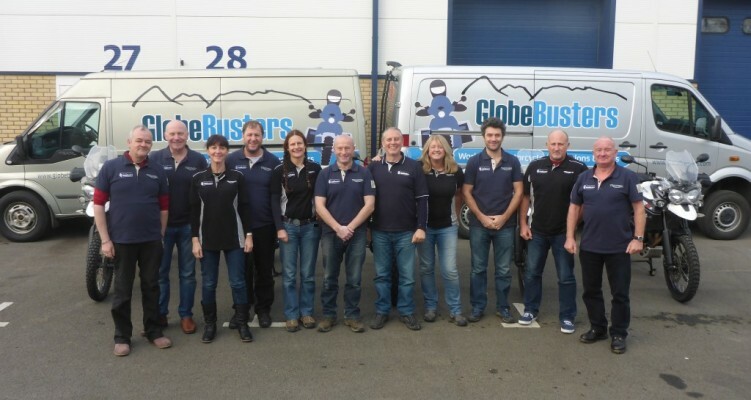 The people who make up the GlobeBusters Support Crew are the best in the business. They are experienced travellers and motorcyclists, drawn from the best of the motorcycle travel world and rally communities, and have spent many miles on the road through Europe, North America, South America, Africa and Asia. As well as all their practical overseas riding experience, all our team are minimum RoSPA Advanced qualified riders and Outdoor Expedition First Aid Trained. Each year, we hold an annual GlobeBusters training week to ensure that we all operate to the same consistently high standards. 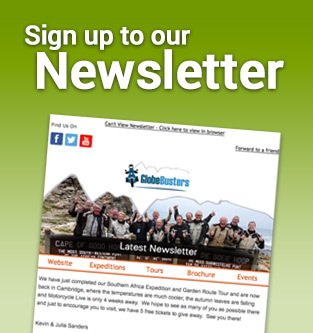 Kevin is the Founder of GlobeBusters and he is one of the world’s leading adventure motorcycle tour Leaders. It is doubtful that anyone can match his credentials in terms of motorcycling miles across the planet, whilst leading teams of riders. Kevin has two Guinness World Records™ for global motorcycling. He has circumnavigated the world by motorcycle twice, has ridden the Trans Siberian Highway, the Pan American Highway eight times and the Silk Road across Tibet & China seven times. As well as this, he has led rider teams in Southern Africa, Australia, India, South East Asia, South America – let’s just say, there aren’t many places he hasn’t ridden a motorcycle! Kevin’s instructional skills are also highly recognised. He is a RoSPA Advanced Diploma Instructor and BMW AG Accredited Road Instructor. 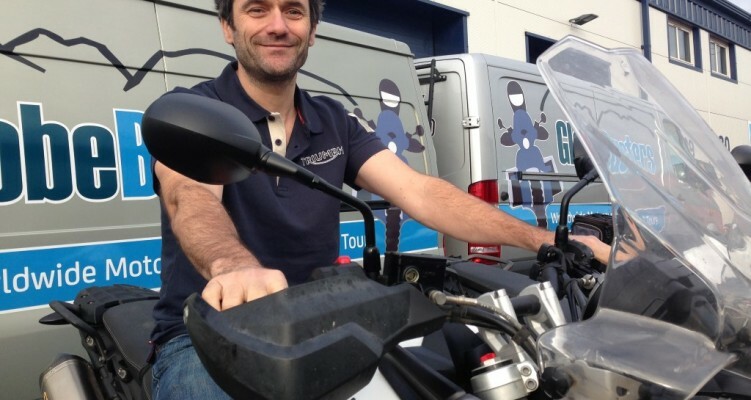 In 2006, he founded BMW Rider Training for BMW Motorrad UK and was Director of Rider Training until 2013, as well as being Director of BMW Tours from 2011-2013 before stepping down to solely focus on GlobeBusters. Julia is Co-Founder of GlobeBusters. She rode as a pillion passenger on both Guinness World Records™ with Kevin. Over the past twelve years, Julia has supported Kevin on many of the GlobeBusters Expeditions as an Expedition Guide. 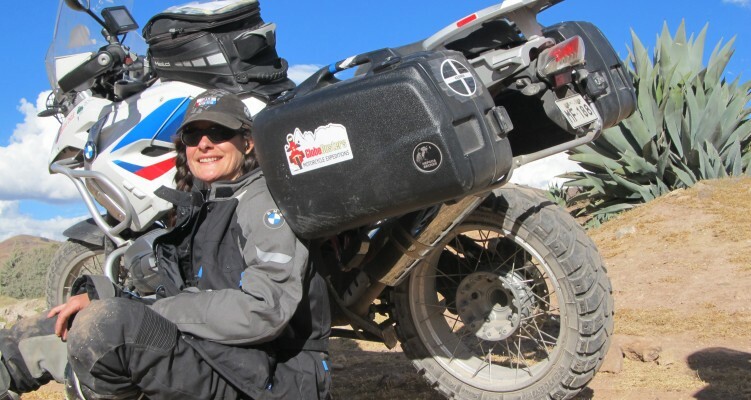 She’s notched up Trans Americas, London to Beijing, Bangkok to London, Delhi to Bangkok, around Australia, as well as leading tours in Europe as part of the BMW Tours team – the biggest of which was 200 + riders going to BMW Motorrad Days in Garmisch-Partenkirch in 2012. Starting his working life as a Royal Marine, Pete worked his way up through the driver’s branch, latterly diversifying into the world of International Arms Control. Having completed a twenty-four year career, he then went on to do a further ten years with the Foreign Office undertaking a series of short-term logistic secondments in post war countries. Besides being a keen motorcyclist and traveller, Pete has also undertaken specialist oil-industry driver training contracts in locations as diverse as the Artic, Saudi Arabia, Egypt and Ukraine; and more recently provided support to F1 Teams. 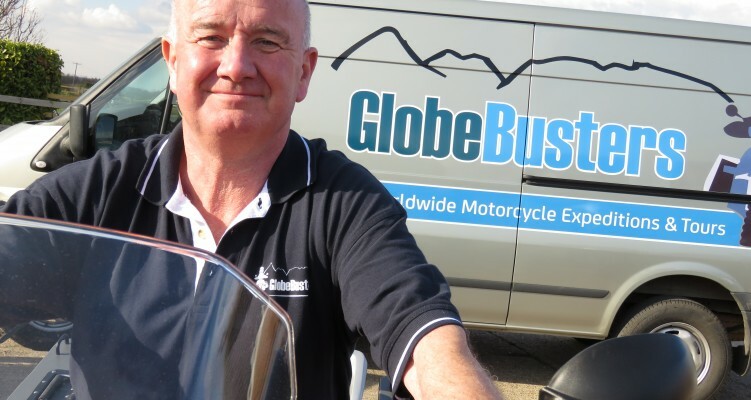 With GlobeBusters, Pete has supported London to Beijing, London to Bangkok and Southern Africa Expeditions. An avid biker since he was a nipper, Kevin has competed in Trails Motocross and Enduro, all at Expert Level and he still competes when time allows. He was one of the riders on the UK GS Trophy winning team in 2010 and worked as a Senior Instructor for BMW Off Road Skills until 2014. 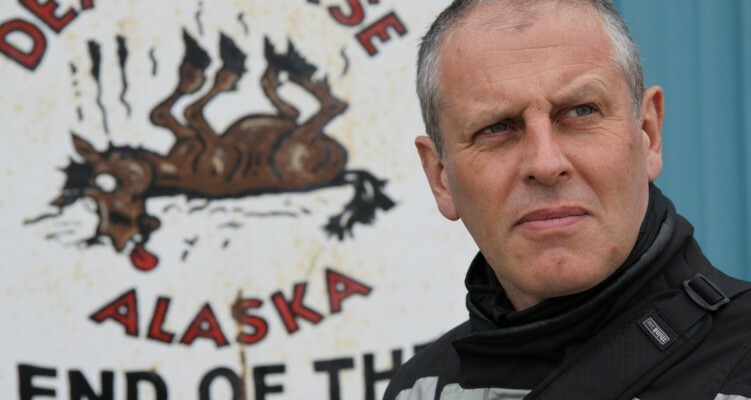 Kevin has supported the Trans Americas 2013 Expedition, London to Bangkok and is a Motorcycle Leader on our shorter adventure Tours, such as Patagonia, where his off road instructional skills always come in useful! 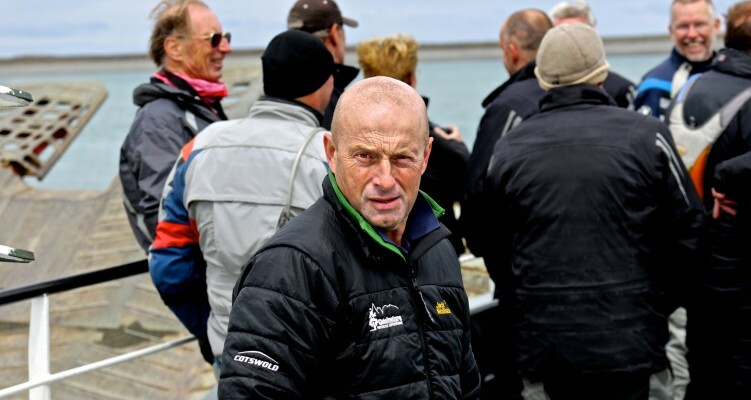 Paul is an avid world tourer and has travelled extensively through Europe, the Far East and across the Americas. As well as riding the length of the Pan American Highway on his trusty BMW R1150GS Adventure (known as “El Monstro” following an encounter with a local in Honduras! ), he has also completed the Trans-Am Trail, riding his F800GS coast to coast across the USA on a network of awesome dirt roads and has notched up many thousands of miles through Europe. Paul is also a RoSPA Diploma Advanced Motorcycle Instructor and operates his own rider training school, Inner Circle, so Paul is invaluable for providing handy riding tips and guidance along the way – adapted of course for the twisty Colombian roads and chaotic Latin American cities! Seventeen years ago, Tiffany left the UK on a BMW R80GS – a simple trip to India turned into an epic two and a half years on the road! Tiffany is arguably the world’s foremost solo female bike adventurer with her travels including Australia, Timbuctoo, East Africa, northern Alaska, Labrador, Tierra Del Fuego, the Silk Road, Siberia, Madagascar and Outer Mongolia. To every expedition and tour, she brings the support of an understanding boyfriend, a wealth of global experience, a smattering of many languages and an uncanny ability to track down a cup of tea in every town. Tiffany was our Expedition Motorcycle Guide on London to Beijing and is a Motorcycle Tour Leader on our shorter adventure tours in South America. relishing and enjoying the diverse roads types; endless highways – dirt tracks – some of the highest mountain passes in the world, which combine scorching heat and freezing finger numbing temperatures! Darran is a bit of a techy and can solve most challenges thrown up by GPS systems. His technical engineering background, and a great bike workshop at home where he can be found giving TLC to his own bikes, any mechanical problems on the road and Darran will be there to help. He has also been a Senior Observer for the Institute for Advanced Motorcyclists for the past 7 years and is hugely supportive of sharing his riding experience with other motorcyclists. Darran started with GlobeBusters in 2015, supporting the London to Beijing Expedition, and has already proved an invaluable member of the team. Dom is the latest GlobeBusters addition to our growing team. Dom has been riding since he was 19, like his dad and his grandad before him. He has been a avid competitor, participating in trials, enduro, short circuit racing (with a Championship to his name), and still competing in Europe, riding in team endurance races. He is also an Instructor for the RAF Odiham Motorcycle Club on their airfield riding days, promoting better skills for road riding, as well as delivering more advanced training at National Circuits around the UK and instructing all levels, at their off road events in Hampshire. The travel bug bit in the late 90s starting with various trips around Europe. Then onto Balkans,Scandinavia, Eastern Europe, South East Asia, North and South Africa, and a short stint as a tour guide in India. Dom was also part of the first GB Trans Americas in 2005. This led to many off road rides in the North American continent, including the Trans Am Trail, with more than 10,000 miles of dirt under his belt, with riding through the Copper Canyon and in Baja, Mexico being the most recent adventures. Barbara Alam – Barbara has been riding since the age of 17, having taken up motorcycling as a sensible and cheap commuting option, but she was soon ‘hooked’ and her subsequent bike travels have taken her through Europe, across the Sahara and into West Africa, across Canada and over the Himalayas. South America and Madagascar are on the horizon. 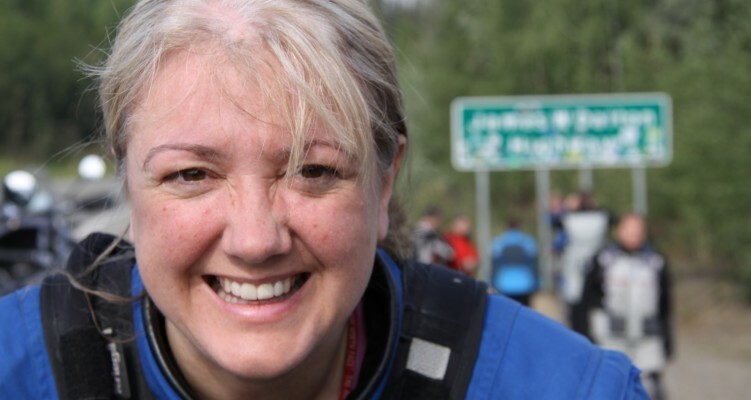 She joined the GlobeBusters team in 2008 with her husband Craig Carey-Clinch, designing and running the first Morocco tour, and now works full-time within the motorcycling community in her professional life, supporting Craig in their lobbying and campaigning business, helping run the charity Motorcycle Outreach, and acting as Secretariat for the Parliamentary Motorcycling Group. She speaks several languages but especially loves all things French. In her spare time Barbara enjoys riding all sorts of motorbikes, both on and off-road, and in particular those lovely old classic Triumphs restored by Craig. 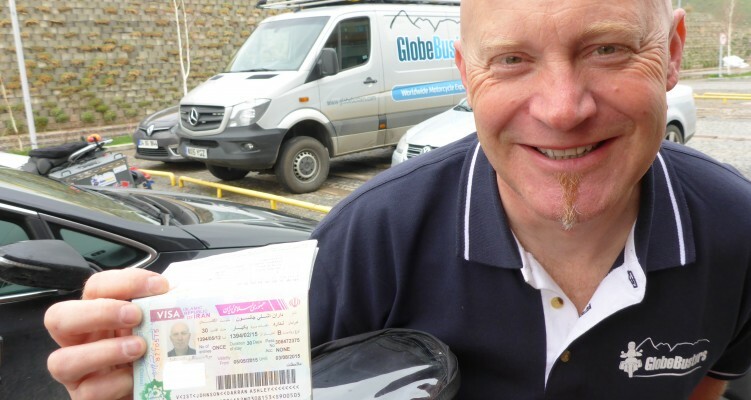 Craig Carey-Clinch – A long time adventure motorcycle traveller across three continents, Craig Carey-Clinch first joined the GlobeBusters team in 2008 when along with Barbara Alam he designed and led a West Africa trip to Mali and Senegal. This was followed in 2011 by the GlobeBusters Trans Canada expedition, which he and Barbara also led. 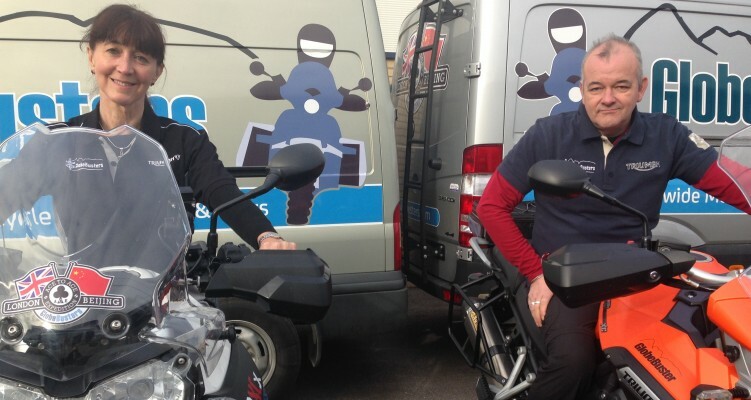 Motorcycle travel has been intertwined with Craig’s professional life for the last 25 years. A trained engineer, Craig worked in several motorcycle businesses before becoming involved with representing motorcycling to Government and Parliament. He runs a successful lobbying and campaigning business which focusses on motorcycle industry representation and also strategic marketing and planning issues. His work has involved him in extensive travel, largely by motorcycle across Europe and North America. 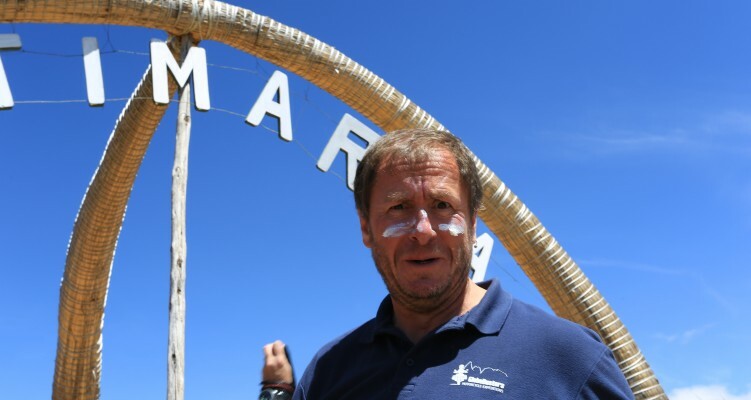 He has also created and led several tours and group rides since the 1990s, including into Morocco, a country he is very familiar with after a first trip in the year 2000. He is also a founder of the charity Motorcycle Outreach, which was created by the late round the world motorcycle traveller Simon Milward. The charity was launched in 2005 with a ride to The Gambia, which was heavily supported by a motorcycle manufacturer and other businesses. In his spare time, Craig restores classic motorcycles and also helps people prepare and maintain adventure bikes.